One of Shakespeare's early comedies and most ornately intellectual plays, "Love's Labour's Lost" is a mental adventure in hilarity and wit. First published in 1598, the play is filled with lexical puns, literary allusions, and shifting poetic forms, a rich example of the Bard's linguistic mastery. The play opens with King Phillip of Naverre announcing that the men of his court will devote the coming years to ascetic studies and to reduce distractions, no women will be allowed into the court for three years. However, Naverre and his companions cannot resist the allure of the Princess of France when she comes to visit with her ladies to plead with the King for help. A series of hilarious events ensue as the men fall in love with the beautiful ladies in violation of their oaths. Confusion and humor abound as the women of the court form an alliance to gain entrance in disguise, while the men try to escape also in disguise to meet their loves. 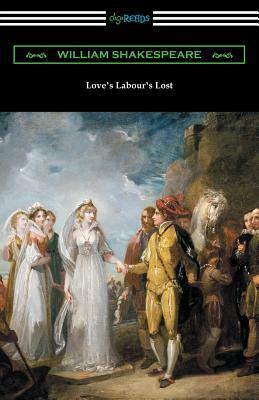 In the wit and humor of "Love's Labour's Lost" we find an example of Shakespeare's legendary comedic talent. This edition is printed on premium acid-free paper, includes a preface and annotations by Henry N. Hudson, and an introduction by Charles Harold Herford.